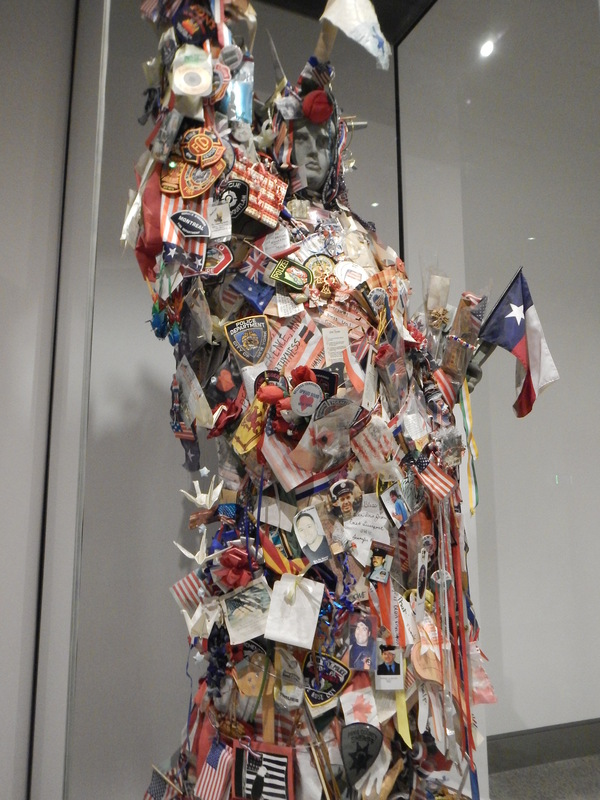 Recently the National September 11 Memorial Museum in New York City celebrated its first anniversary. 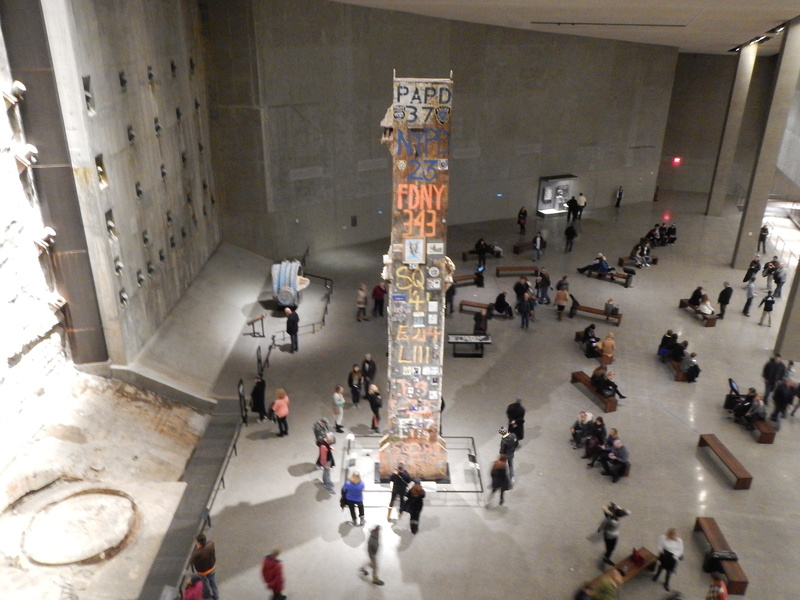 On a recent trip to Manhattan we made sure to reserve a day to visit the 911 Museum. It is a pilgrimage that feels like one’s civic duty. We need to be reminded of the pain that was felt that awful day. Our pain has subsided but for those who lost family members, it never goes away. 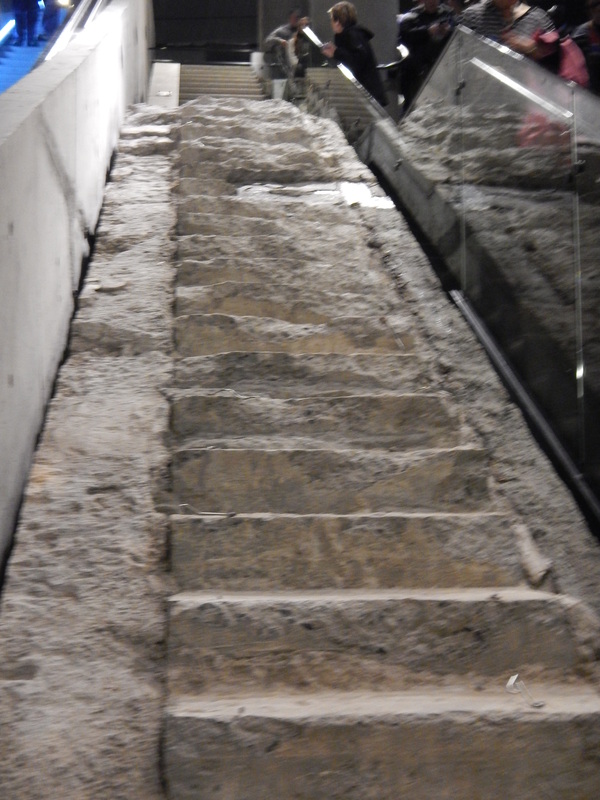 Walking through the museum one never knows what might touch the heart or cause you to tear up. My husband was particularly affected by the Maasi Tribe, who felt so bad for our country’s loss that they offered up 14 of their prized cows to be sent as a gift. The shipment to America of cattle never happened because of financial and health concerns, but there is a special spot for the herd in Kenya where they are cared for and are free to roam. You can read the entire story here but go grab a tissue first. I don’t think anyone can get through the tale without a lump in the throat. It took us a bit over 2 hours to make our way through the many sections, displays and movies, however, one could spend a lot more time here. Most areas are photo-friendly but others are not, and there is good reason for that. Many intensely personal photos, recordings and videos of that horrible day are held in deepest respect and not to be Instagrammed or Tweeted. A friend’s nephew was killed that day so we looked for his picture on the wall of those who perished. It’s easy to find a name on the alphabetized display of personal photographs and we found him quickly…the smiling face of a young, happy man. It is beautiful to see the images of happy faces, reminding those dear to them of lives well lived. Other areas include huge pieces of tangled steel and concrete pulled from the wreckage along with mangled fire trucks reminding us of the horror which acosted emergency personnel. 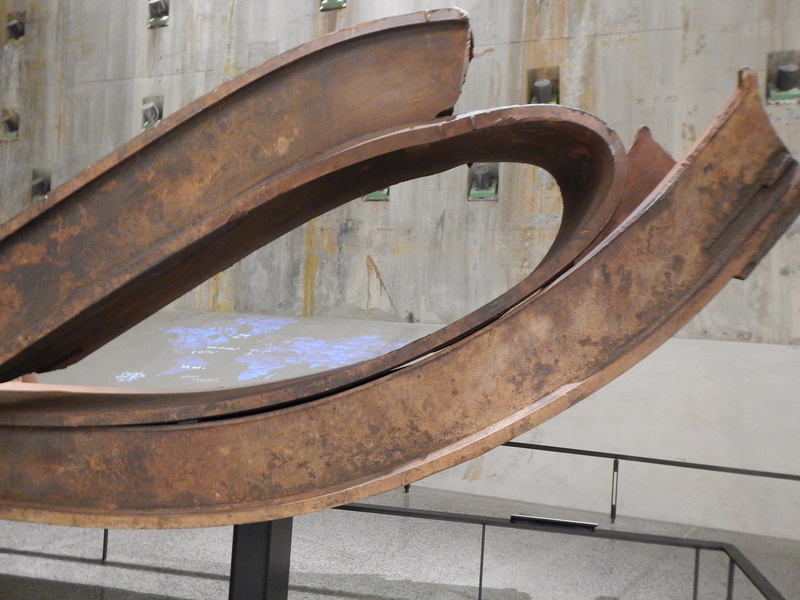 The enormity of the event is in your face and becomes personal when you can touch the objects and wonder at the intense heat that could cause such thick steel to bend like a twig. 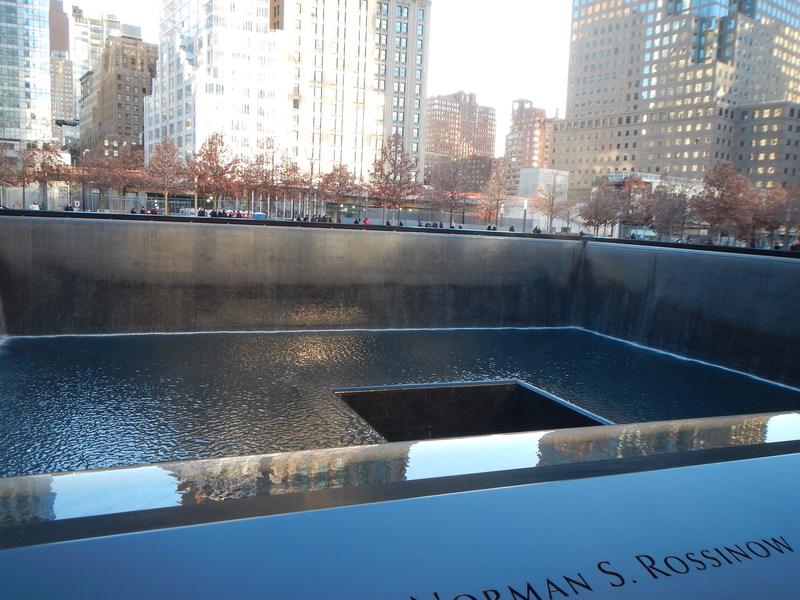 Outside of the museum are the reflecting ponds which are built on the footprint of the original Twin Towers. Each is etched with the names of those whose lives were lost not only in New York but also the Pentagon and the Shanksville, PA, crash site. It is a brilliant design which inspires awe and emotion. Remembering the times we stood at the base of the buildings, looking up in awe, took my breath away. 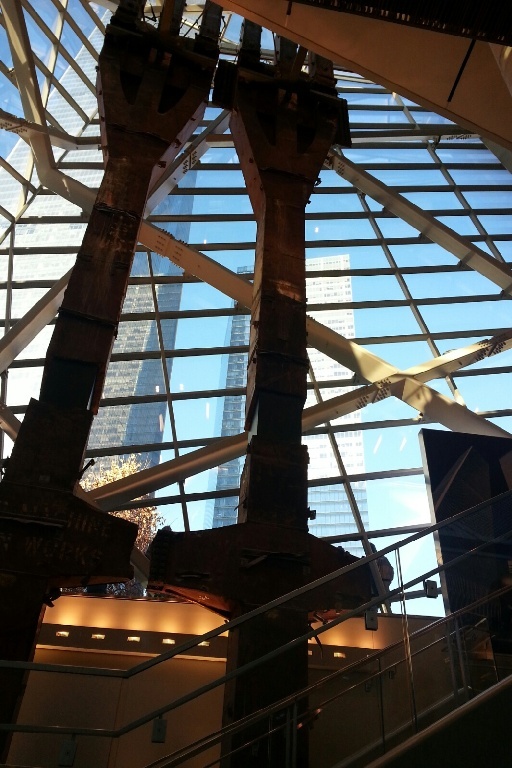 Adjacent to the 911 Museum you will find the World Trade Center Transportation Hub. 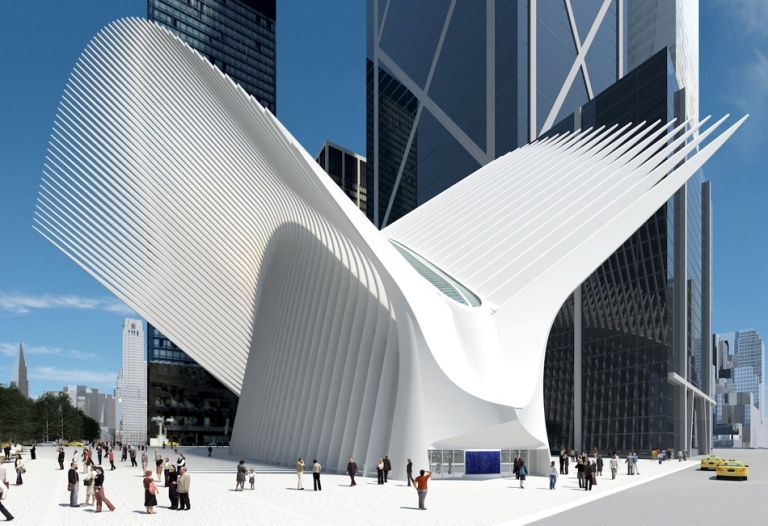 Designed by Santiago Calatrava, this massive wing-like structure will replace the original Port Authority Transportation Center which was destroyed. 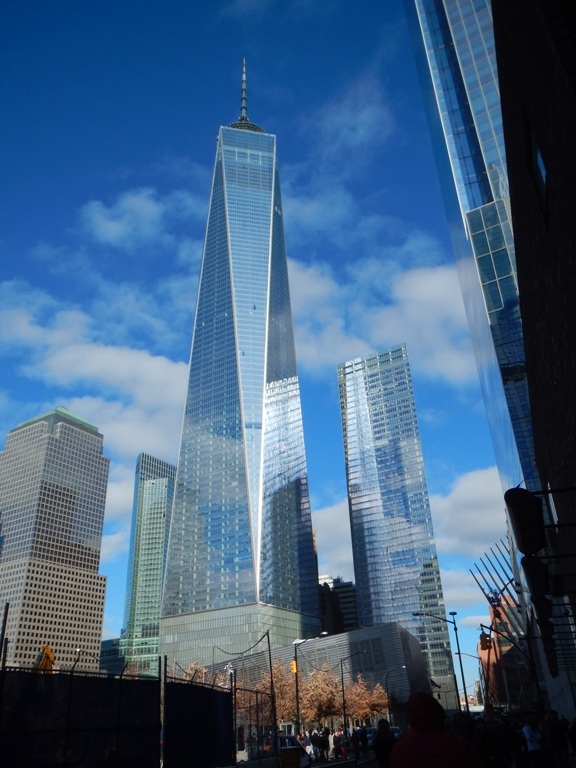 The building originally named the Freedom Tower, now called 1 World Trade Center, is 1,776 feet tall. This link includes panoramic views from the top – while this one shows an eerie time lapse video which is shown in the building’s elevator to the observatory on the 102nd floor. One World Observatory tickets can be had for around $30 per ticket. There has been both praise and criticism for the museum’s design but we found it to be a sober and dignified reminder of a day we must never forget. 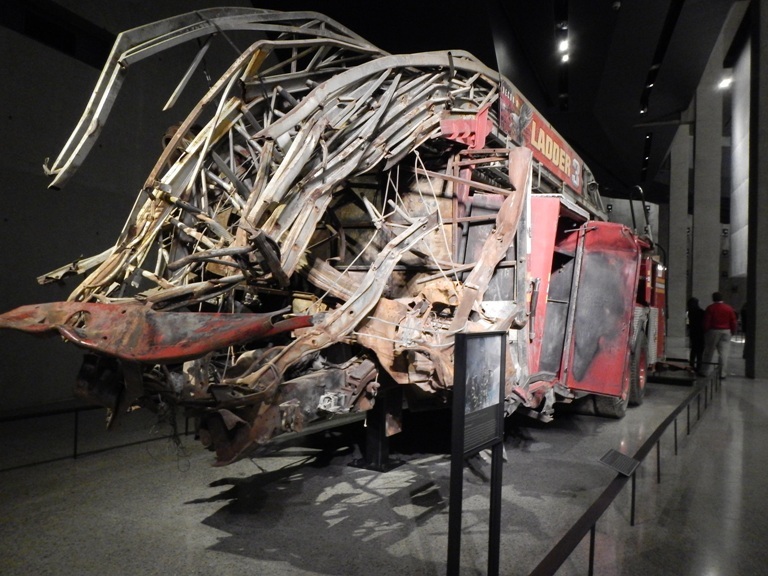 As Washington DC is the go-to spot for school field trips and family vacations, so too, should the 911 Museum in lower Manhattan. When visiting the Statue of Liberty and Broadway, take time to reflect on the events that changed our world, painful to remember, but should never be forgotten. 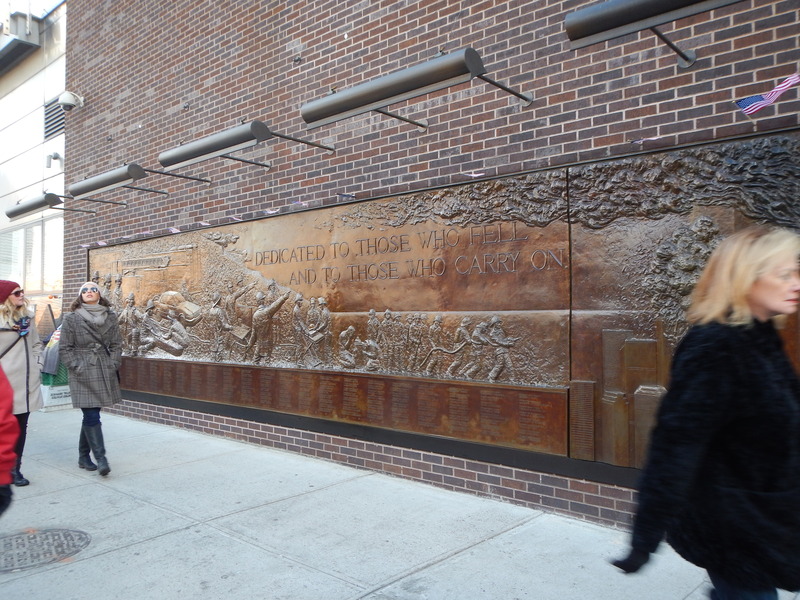 This entry was posted in Travel and tagged 911 Memorial Museum, baby boomers, Manhattan, New York City, travel, vacation. Bookmark the permalink.